I joined Twitter in the long-ago days of 2006, the 40,523rd person to join the service. It took me a little while to "get" it, but I became an enthusiastic and passionate user. Like most journalists, I found the real time news feed addictive, and the ability to have lightweight, fast-moving discussions with like-minded folks critical in the early days of my career in digital journalism development. Less than 12 years on, I often dread opening Twitter. In many ways I feel I have an account there still solely because I need it for my work, not because I'm deriving any personal pleasure from it. I'm far from alone in that feeling, and it's worth unpicking what has happened in that intervening decade-and-more that has created the problem. A decade ago, I was on a list of the most influential twitterati in London. Now, I'm barely a blip on the radar. Why does that matter? Because Twitter is no longer about us — it's about them talking at us. Remember, the verified and the power users get additional tools that allow them to filter our words from their feeds if they so wish. Oh, and as for verification? You can't get it. Not only were the criteria pretty arbitrary to start with, the whole scheme is currently suspended pending reform (but the word on the cyber street is that some people can still get verified on an ad hoc basis, as long as they have contacts in the right teams…). The very existence of the blue tick, and the natural covetousness that follows it created an atmosphere of "them" and "us". In parallel with this, the slow addition of things like follower numbers, replies and retweets as ever more visible parts of the interface has driven attention-seeking behaviors on Twitter to ever-greater heights. Great for Twitter's engagement numbers — gotta grow those MAUs (monthly active users) — but horrible for any sense of Twitter as a place where you want to have a discourse. Twitter is becoming increasingly concentrated on a tiny core of power users. It’s less and less a distributed mode of many-to-many communication, and more and more a broadcasting hub for the elite — a highly unequal place where their least-considered, Ambien-addled opinions get amplified to a global audience of millions. In essence, Twitter has actually managed to pull apart the "social" and "media" aspects of social media. For the elite, Twitter is Media - a tool they can broadcast to the masses. For the rest of us, it's a place where we can fight over the attention scraps they leave us. It's a vision of social pretty much defined by the sorts of arguments that happen in pubs on a hot Friday night in June. 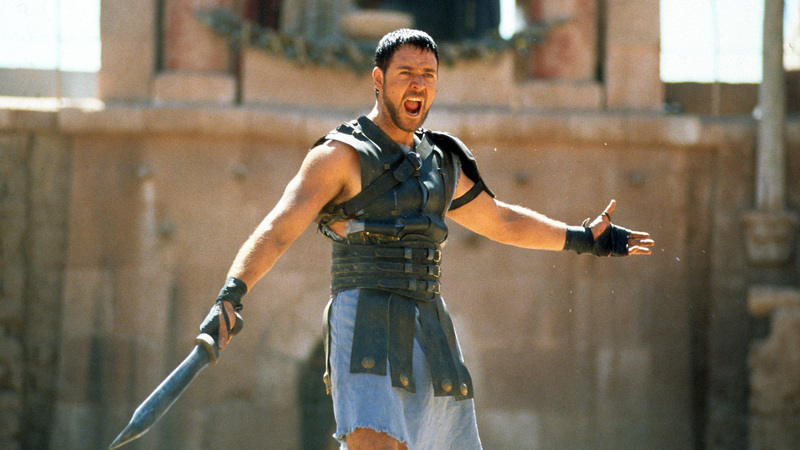 It's all a bit Gladiator, isn't it? In its search for popularity and reach, Twitter has created something terrible, and it is now faced with just two choices. Option A would be to roll back the inequality machine by removing public follower counts, retweet counts, and all the other numbers that have turned the service into an increasingly dark game. Option B is to continue to encourage the 99.9 percent to play that game, but to crack down hard on the 0.1 percent who make it so unpleasant for so many. That crackdown would have to target not just the trolls but also their leaders: anybody who, deliberately or otherwise, causes troll armies to be mobilized against Twitter’s weakest denizens. There was nothing I could think of. And so just after 6 p.m. last Sunday, I did. She's not alone. At least one other journalist friend has actually suspended their account in recent weeks, and others are ghosting Twitter instead - still notionally there, but not really using it. I'm certainly one of those. This is bad news for Twitter. The inverse of the network effect kicks in — the more people who are considered, interesting and engaging on Twitter leave, the more you hand it over to the trolls and the loudest shouters. The problems with the network become the network, and then Twitter is doomed to be that way forever more. Perhaps, this is what Twitter is doomed to become: a place where the great and good from other media and fields come to tell us what they think, and where we fight for their amusement. Perhaps there's a role for that. But somehow, that feels like a terrible betrayal of what Twitter could have been — a place to develop an ambient awareness of what was cool, interesting and engaging around people you're interested in. And if that's still valuable — and I think it is — then where should we go for it instead?